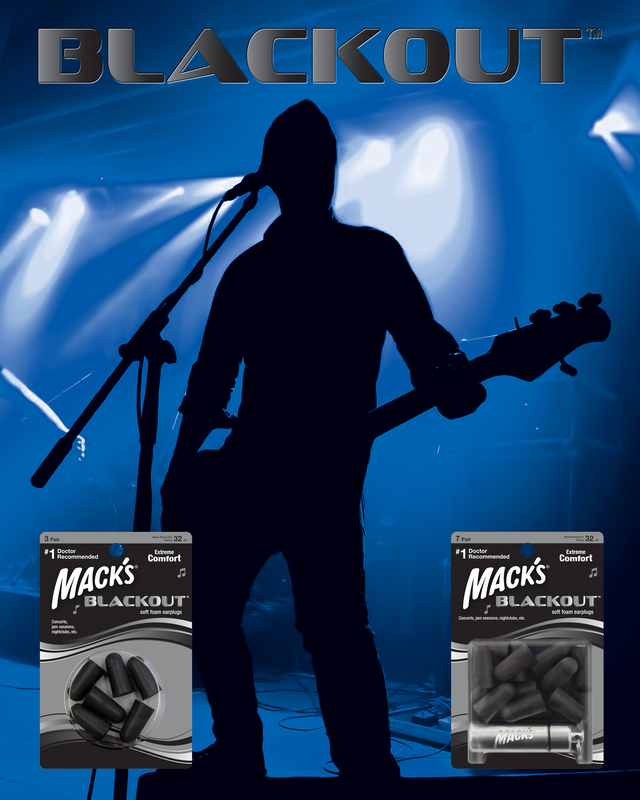 McKeon Products, Inc. unveils new Mack’s® BLACKOUT™ Soft Foam Ear Plugs marketed for the music industry. During the last few years, we have been asked by musicians for quality hearing protection products that are less noticeable and just jibe better with their normal garb during gigs. McKeon Products, Inc. is proud to unveil their new Mack’s® BLACKOUT™ Soft Foam Ear Plugs. These new black soft foam ear plugs offer excellent hearing protection characteristics: a high noise reduction rating of 32 dB and great comfort. 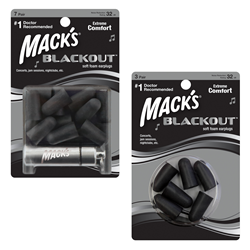 Marketed for the music industry, and joining Mack’s® Acoustic Foam and Hear Plugs® High Fidelity ear plugs, BLACKOUT™ soft foam earplugs are hip and fashionable in discreet black. They are great for concerts, nightclubs and jam sessions. BLACKOUT™ is available in 3 pair and 7 pair versions. The 7 pair version includes a convenient aluminum keychain carrying case so that hearing protection is always within arm’s reach whenever the music starts. The addition of the new BLACKOUT™ expands Mack’s® product offerings for essentially every use or situation where hearing protection is needed.